Enjoy good Swiss home cooking with friendly service in Zermatt. 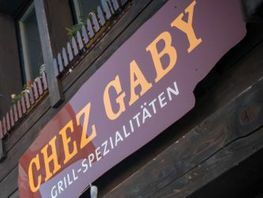 Chez Gaby is an informal restaurant that has served speciality meat dishes such as chateaubriand, fillet steak and fondue chinoise for over 50 years. We look forward to pampering you with our cooking. Take a look at our menus for food and drink. 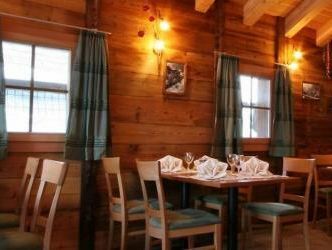 Drop by our rustic building and enjoy wonderful food in a relaxed atmosphere. 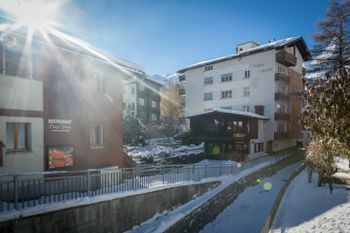 We rent out two holiday apartments, each with a 3-star seal of quality, right in the heart of Zermatt. Contact us with your personal enquiries regarding the restaurant or a holiday apartment. We will be pleased to help.